Dr. Thomas Hubbard, a board-certified plastic surgeon in Virginia Beach, performs liposuction to provide a lasting improvement of body proportions. Women and men alike choose his Virginia Beach liposuction to remove stubborn areas of fat that persist regardless of diet or exercise. Dr. Hubbard often uses very small cannulas, or tubes, to achieve highly precise results during his liposuction procedures. Patient results, comfort, and safety are of vital importance for every body-contouring procedure Dr. Hubbard performs. People visit Dr. Hubbard in Virginia Beach for liposuction from throughout Hampton Roads. Request a consultation online or contact our office by calling (757) 600-6227 to discuss your options. "I had liposuction 10 years ago and referred my mother here who had a full face, brow and neck lift. We were both extremely satisfied with the entire process from booking the appointment all the way to the follow up after Surgery. I have gone back for Botox with Denise and to receive facial treatments for fine facial lines. Denise is amazing and I am so extremely satisfied with this practice. I would not recommend anyone else!" The ideal candidate for Dr. Hubbard's Virginia Beach liposuction is a patient who is healthy and at a stable weight but who may have localized fat deposits that do not improve with healthy eating habits or physical activity. Liposuction is not used for a substantial amount of weight loss. The procedure is only used to remove fat deposits from areas not affected by the patient’s weight loss methods. Those who wish to avoid surgery or those who have smaller, more localized areas of fat may be better matches for CoolSculpting®. Liposuction is not an alternative to weight loss and not often recommended for people who have a considerable amount of weight to lose. Do Fat Cells Come Back after Liposuction? Every patient has a fixed number of fat cells. As you gain weight, your fat cells increase in size but not quantity. Similarly, when you decrease your weight, the fat cells shrink in size but do not reduce in number. Genetics also determine the amount and distribution of fat cells in specific locations. Some patients have a larger quantity of fat cells in their thighs and hips instead of an even distribution throughout their body. Dr. Hubbard will permanently remove these fat cells. The remaining fat cannot “come back”. But with weight gain, the few remaining cells of fat in a problem area can grow considerably. Why wait to see your results? In certain cases, VECTRA 3-D imaging can show how you could look after cosmetic surgery. Learn more about this advanced technology. This procedure is usually performed on an outpatient basis under general anesthesia. However, depending on the size and number of areas being treated, some individuals are candidates for liposuction under local anesthesia. A tumescent solution made of a saline solution (sterile saltwater), lidocaine (a local anesthetic) and epinephrine (a medication that temporarily shrinks blood vessels) is administered into the treatment area before fat removal to reduce swelling, bruising and bleeding. Then the appropriate size cannulas, or tubes, are placed through small, carefully chosen incisions for removal of excess fat. Very few or no stitches are used since the incisions are small enough to heal naturally. What Can I Expect During Healing after Surgery? Pain where the treatment occurred. Visible results as the swelling goes down. An elastic bandages or a compression garment assists in contouring. Rest from exercise for 2 weeks if liposuction alone is performed, 3 weeks if other surgery is performed at the same time. The recovery period depends on the amount of fat removed. Dr. Hubbard will speak with you individually about how your specific post-operative care. Some more extensive procedures have indicated an overnight stay. Learn why men and women in Virginia Beach trust the surgical expertise of board-certified plastic surgeon Dr. Thomas Hubbard. What are the Benefits of a Complete Makeover? Because liposuction does not tighten the skin, people who have excess skin and loose underlying muscle tissue often benefit from an additional contouring procedure such as a tummy tuck or a buttock-thigh lift. Additionally, liposuction is commonly included in a mommy makeover for women who want to address physical changes caused by pregnancy and childbirth. Dr. Hubbard uses only the safest liposuction techniques. Laser liposuction and ultrasonic liposuction are categorized as "destructive techniques" because the high energy emitted from these devices damages nerves and blood vessels and can cause burns to the skin as well. 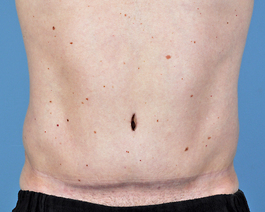 It is now clear, no method of liposuction actually tightens skin. 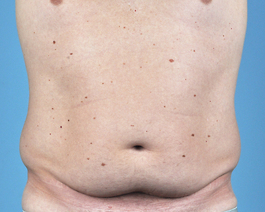 Traditional liposuction and power-assisted liposuction (PAL) are not destructive to nerves and blood vessels, therefore making these techniques safer for the patient. Also, combining them with a basket cannula, known as SAFE Liposuction can bring about much smoother results than other methods. Some patients are candidates for PAL, which has been proven less traumatic to surrounding tissues. It is new technology that relies on a vibration of the tip of the cannula to facilitate fat removal. PAL has been proven to have increased safety, decreased surgery time, and achieved greater fat removal from the treated areas compared to other forms of liposuction. Laser-assisted liposuction especially has been shown more skin irregularities and disrupt blood flow to the skin. When you undergo liposuction in Virginia Beach with Dr. Hubbard at our AAAHC-Accredited surgical center you can rest assured, you are receiving the safest, high quality surgical care. Please visit our photo gallery page to see examples of liposuction patients from Norfolk, Virginia Beach, and Chesapeake, VA who have achieved their desired body contouring.